JUBA, South Sudan (Morning Star News) – A court in Sudan has fined seven church leaders fighting a takeover of their school in Omdurman for “objection to authorities,” a church leader said. The court yesterday (Feb. 5) found Sudan Presbyterian Evangelical Church (SPEC) elder Yohanna Tia guilty under articles 182/183 for objection to authorities and fined him 5,000 Sudanese Pounds (US$275), the Rev. Yahia Abdelrahim Nalu told Morning Star News. Tia was one of 26 church leaders who have appeared in court since last week for defending a Muslim business interest’s attempt to illegally seize the Evangelical School of Omdurman, Nalu said. Seven of the church leaders were ordered to pay fines of 2,500 Sudanese pounds (US$137) each, and the other 19 were freed for lack of evidence, he said. Two pastors – the Rev. Dawoud Fadul, SPEC moderator, and the Rev. Edris Kartina – were also fined 2,500 each. Church elders Adam George, Bolus Tutu and one identified only as Azhari, were also fined, along with school director Ustaz Dauod Musa Namnam. 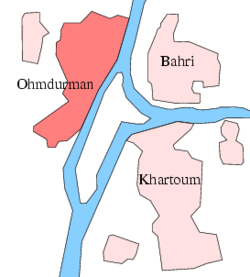 Omdurman is located across the Nile River from Khartoum. Church leaders have refused to hand over church lands and estates to Muslim businessman Hisham Hamad Al-Neel, sources said. In what Christians in Sudan believe is a campaign to take over church properties, a judge ruled on Dec. 3 that Al-Neel should take over the houses of Nalu and the Rev. Sidiq Abdalla. Al-Neel is attempting to take over SPEC properties in Khartoum and Khartoum Bahri (Khartoum North).